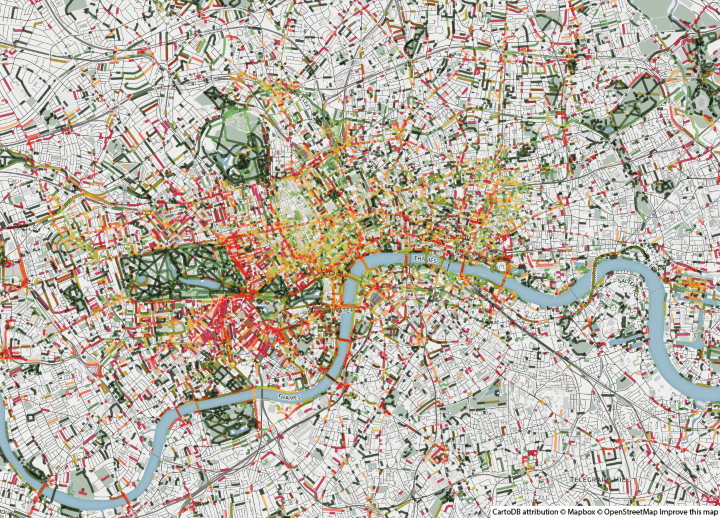 Smelly Maps: The Digital Life of Urban Smellscapes is the amazing title of this series of maps that look at how London smells. The smelly maps project involves Daniele Quercia, Rossano Schifanella (University of Torino), Luca Maria Aiello (Yahoo Labs) and Kate McLean (Royal College of Art). The group looked at geo-tagged data from Flickr and Twitter to come up with maps of London and Barcelona. Similar to the Tourist vs Locals maps we featured last week. 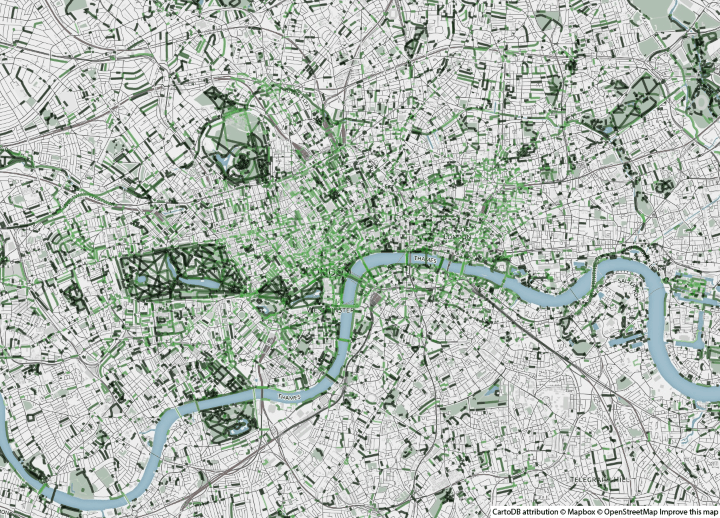 London’s animal smells, the large cluster near the top is London Zoo. Think about your nose. Now think about big data. You probably didn’t realize it, but your nose is a big data machine. Humans are able to potentially discriminate more than one trillion different odors. On one hand, we have our big data nose; on the other hand, we have city officials and urban planners who deal only with the management of less than ten bad odors out of a trillion. Why this negative and oversimplified perspective? Smell is simply hard to measure. 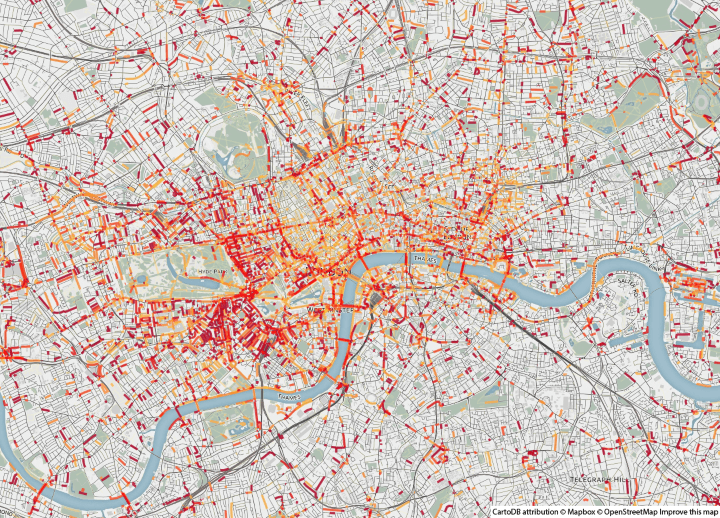 That is why four researchers – Daniele Quercia, Luca Maria Aiello, Rossano Schifanella, and Kate McLean – have recently proposed a new way of capturing the entire urban smellscape from social media data. They run smell walks in seven cities in UK, Europe, and USA and, in so doing, collected smell-related words. Locals were asked to walk around their city, identify distinct odors, and take notes. Smell descriptors were taken verbatim from the smell walkers’ original hand-written notes. The researchers then matched the smell related words with social media data (tags on Flickr pictures and tweets) for the cities of London and Barcelona. To structure this large and apparently unrelated dataset of smell words, they built a co-occurrence network where nodes are smell words and undirected edges are weighted with the number of times the two words co-occur in the same items. 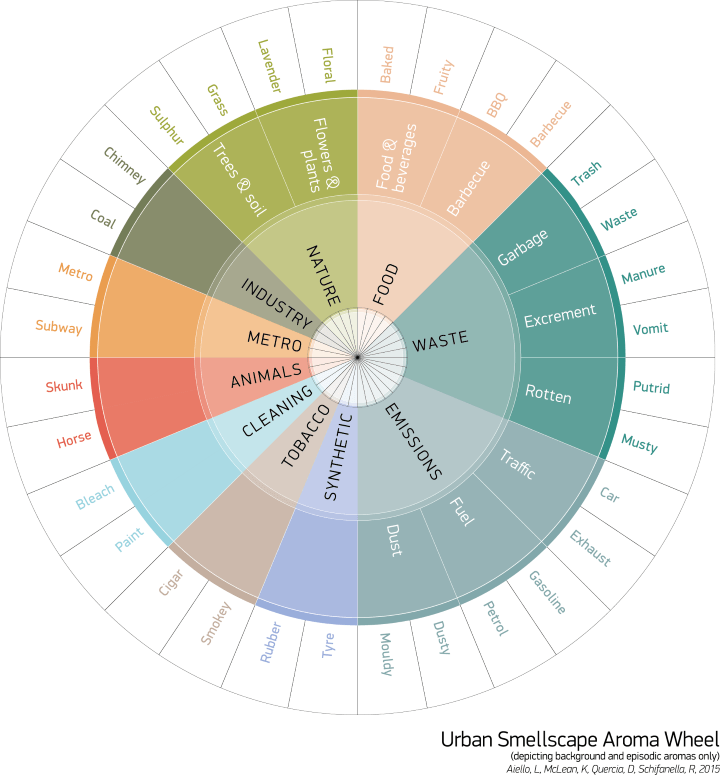 The result of this process is the first urban smell dictionary containing 285 English terms. The researchers found that the high-level olfactory footprint of Barcelona and London consists of nature and, alas, traffic emissions. At street level, streets with emissions words (e.g., Kensington Road and Park Lane in London) suffer from air pollution, while streets with nature words (e.g., Hyde Park) do not. Where do you expect to find animal smells? In the zoo, of course. Cities are victims of a discipline’s negative perspective – only bad odors have been considered. The researchers hope that their work will disrupt this negative view and, as such, we will all be able to celebrate the complex smells of our cities. The research paper can be found here.